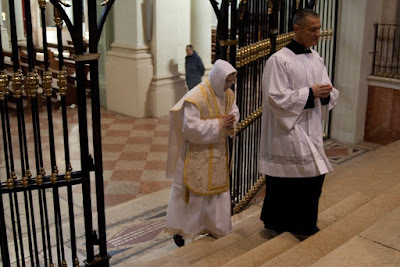 On Monday December 7, a pilgrimage to the Ark of Saint Dominic was held in in Bologna, culminating with the celebration of a sung Mass in the Dominican rite, as part of the Jubilee of eight-hundred years from the establishment of the Order of the Preachers (November 7, 2015 - January 21, 2017). 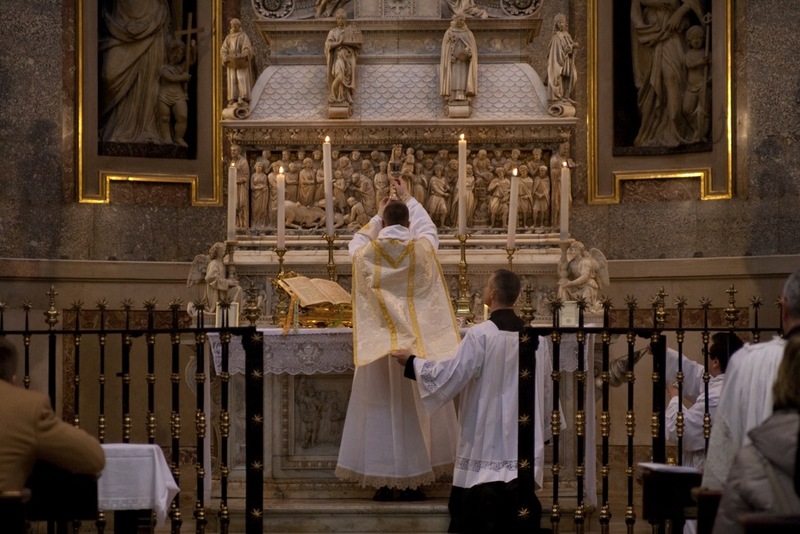 The Mass was preceded by a conference on Dominican rite given by Fr. 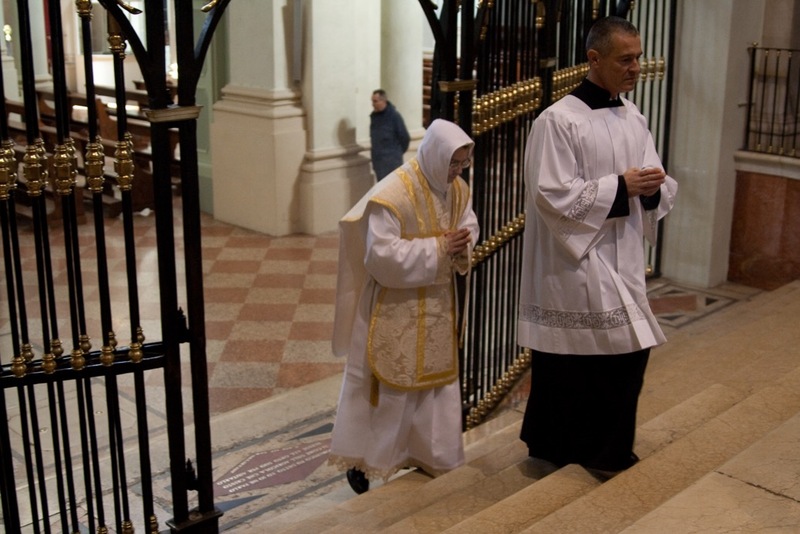 Riccardo Aimone Barile OP, Prior of the Convento Patriarcale in Bologna, and followed by a reception. 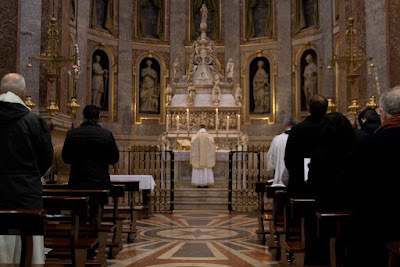 The pilgrimage was intended first of all a time of prayer and thanksgiving to God for having given the Church the Holy Father Dominic, founder of the Order of the Preachers. 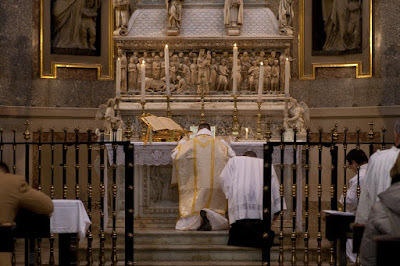 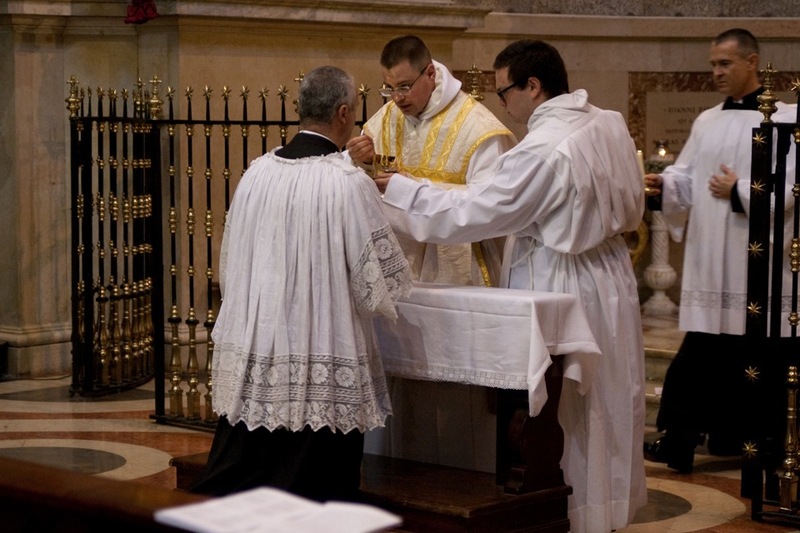 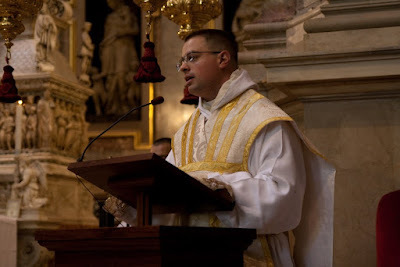 It also served as an occasion for the the study and promotion of the rite that for seven hundred and fifty-years characterized the liturgical life of the Order, and which since 2007, thanks to the Motu Proprio Summorum Pontificum of Pope Benedict XVI and the Instruction Universae Ecclesiae of the Pontificial Commission Ecclesia Dei, may again be celebrated and promoted without any limit in the Church and in the Dominican Order. Update: A video of the full Mass has now been made available, and is added below.